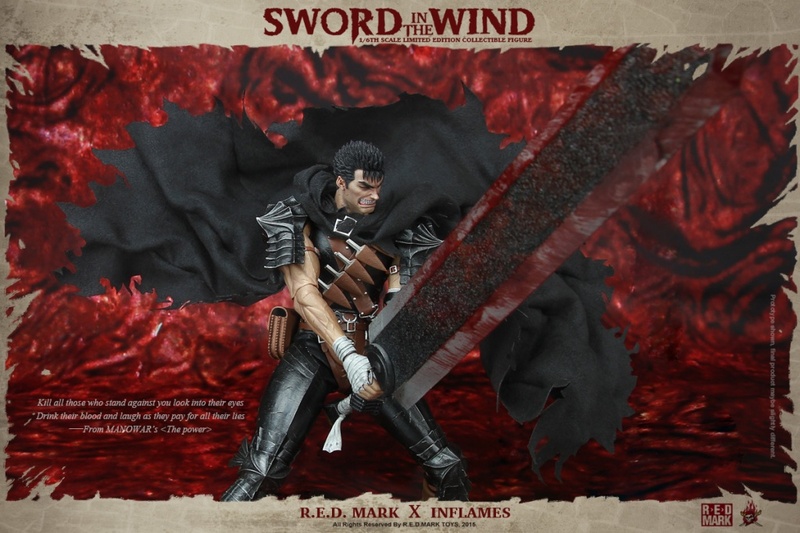 Guts Black swordsman 1/6 Red MARK x Inflames "sword in the wind"
I just saw this today. 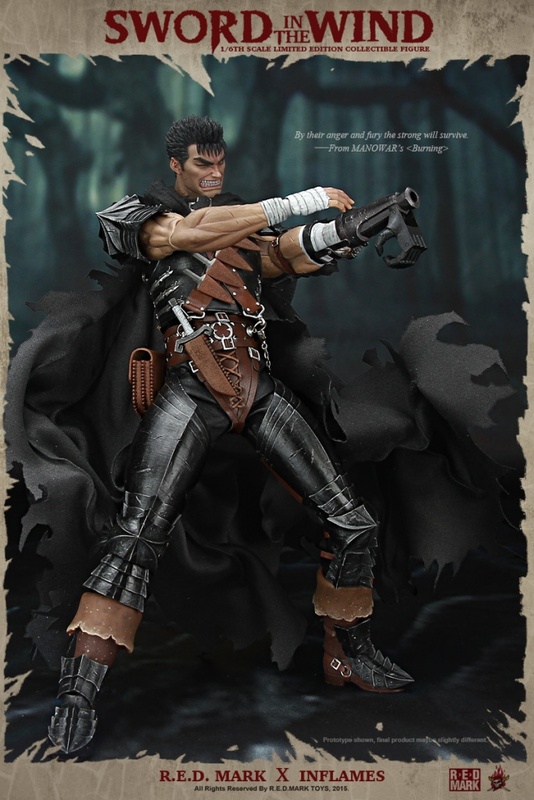 I have no idea how, or when, or where to get this, but it looks amazing. Much better than the medicom figure. Yeah, this is awesome. I'm sure the price is astronomical, but still, wow. 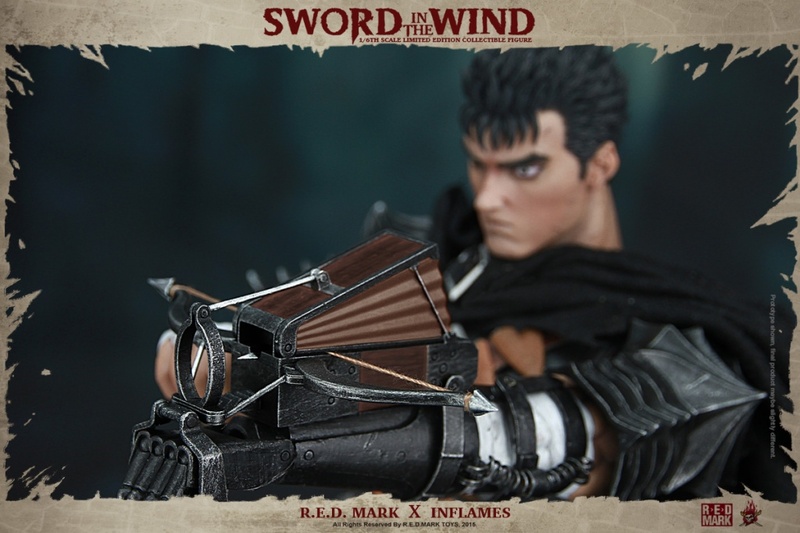 At first I thought it was a ThreeA release, but it is not. Looks cool with the cape covering all of him like in the last picture. Younger face. He can really stretch his mouth that wide . Kudos to the person behind the camera, great shots. It's beautiful. 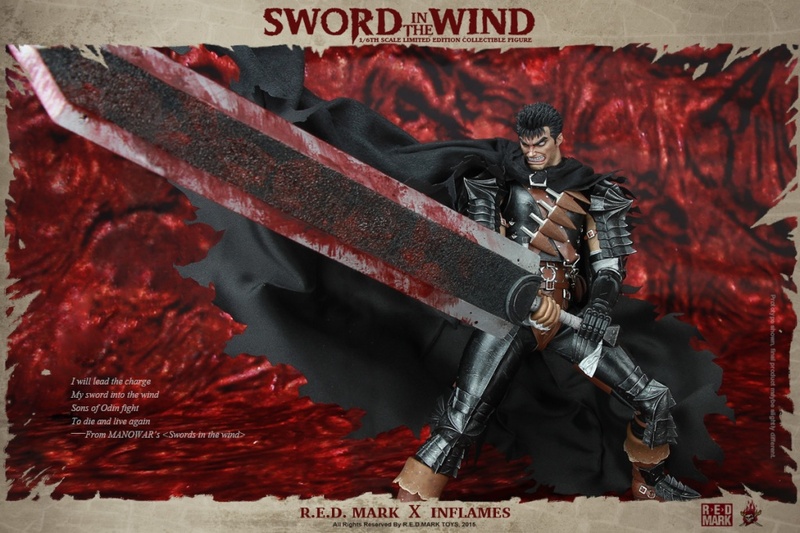 I love the Medicom RAH figures also, but Medicom definitely went for the more anime / trilogy look. 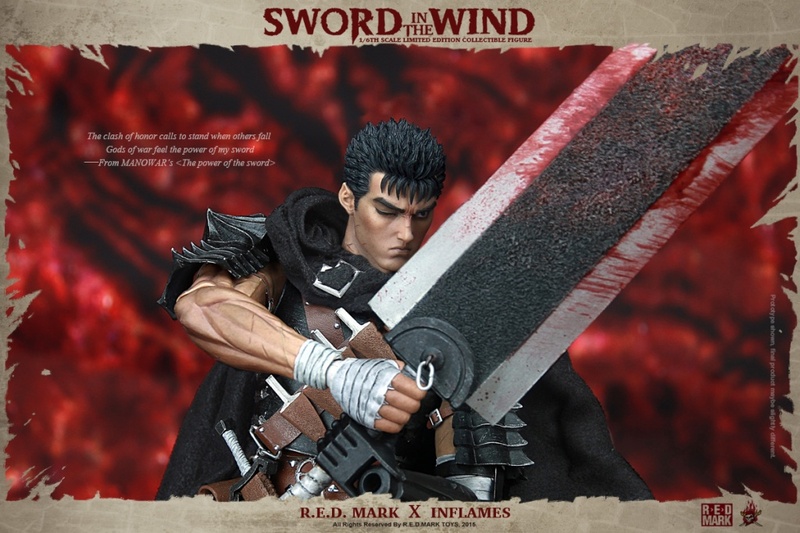 This Red MARK design is more like the manga, so it's refreshing in its own way. 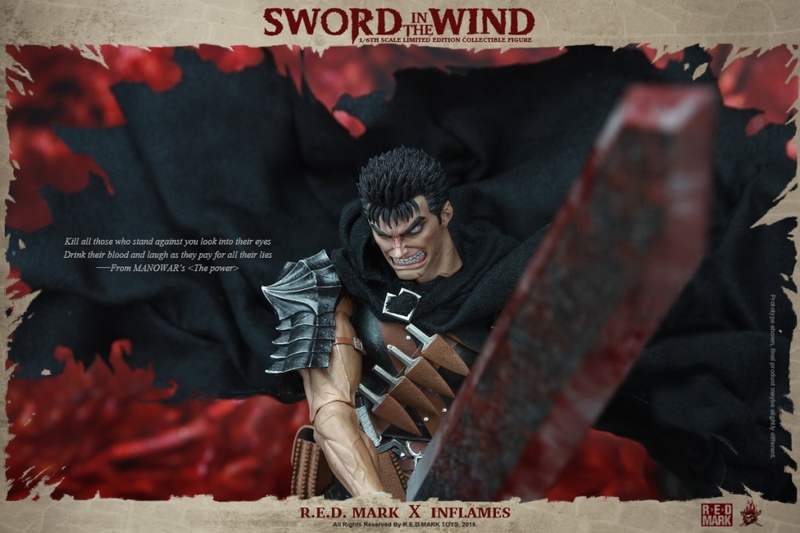 And, it's rare to find a good manga Guts face, so I have to say I'm really interested in this piece and whatever else Red MARK has to offer!!! 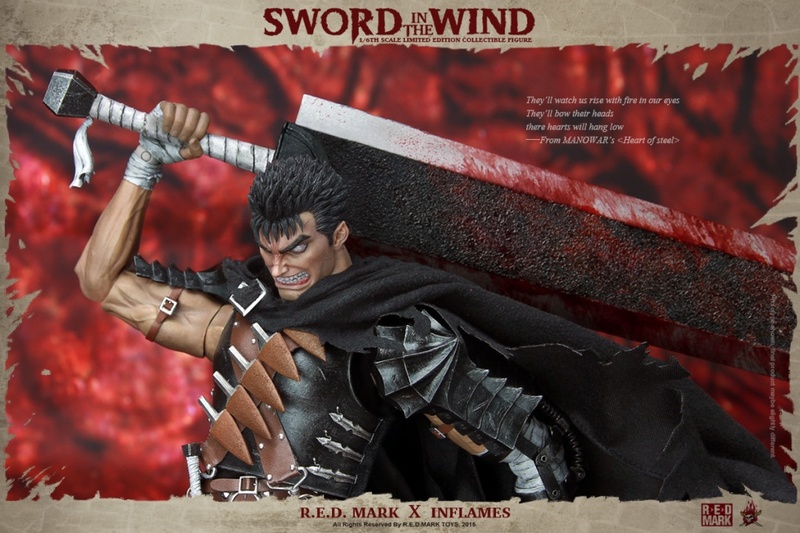 And with the Threezero figures coming out soon... tons of 1/6 figures to choose from nowadays! 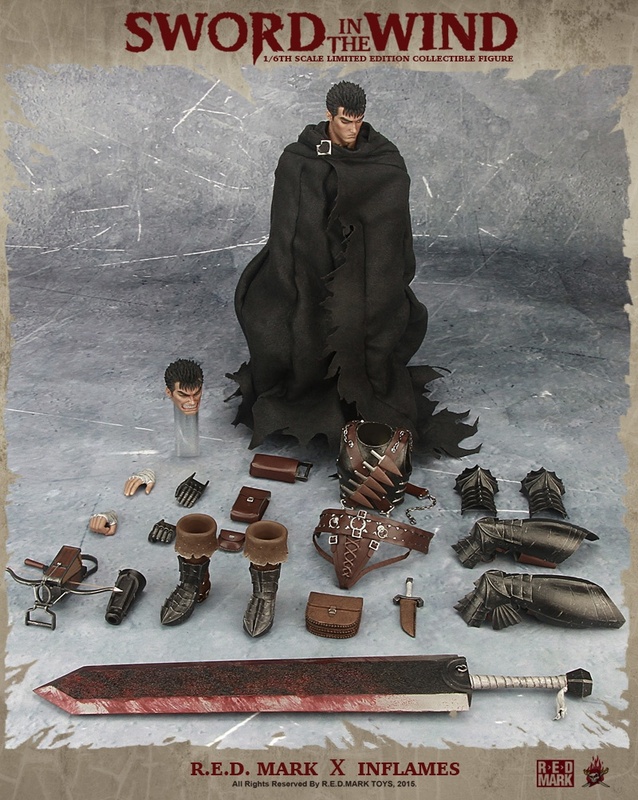 I actually kinda dig this, and thats saying something from someone who generally hates articulated figures. He looks really nice and the joints don't look nearly as bad as the medicom releases (which aren't bad per say, but not good IMO). 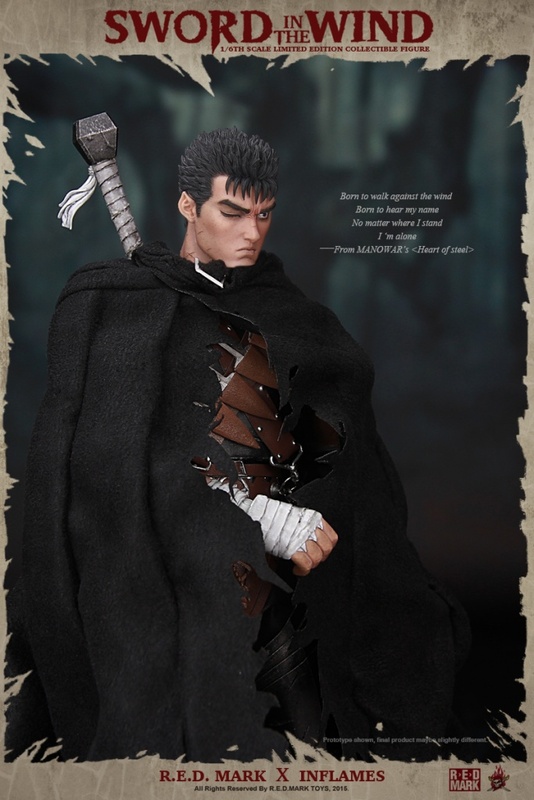 Probably won't be picking him up, I have enough stuff I want to buy and I already have the 1/6 gecco statue on preorder. 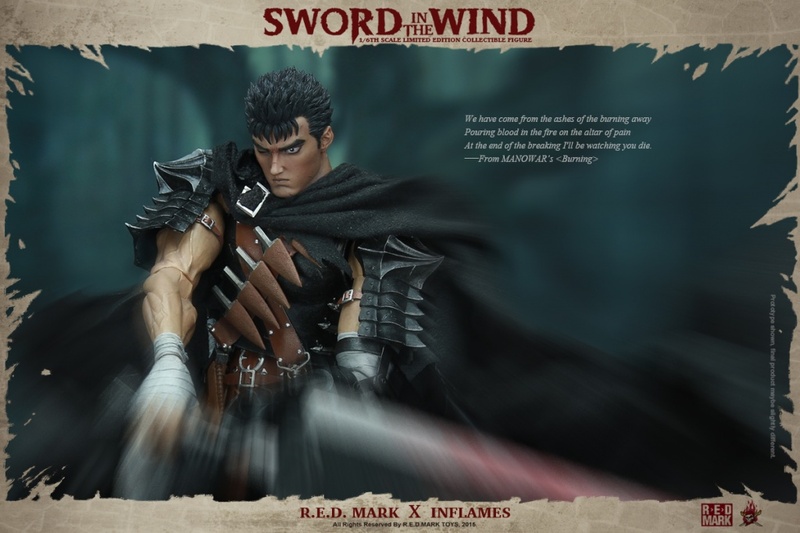 I wish we got more non art of war non posable statues though (1/8 or bigger). I find every time I buy a posable statue, I spend an hour trying tops him just right and end up giving up. I'd be all over some more $200 - $350 PVC statues like the gecco one, but it seems people are more interested in making posable figures for that price and $1000 statues lol. 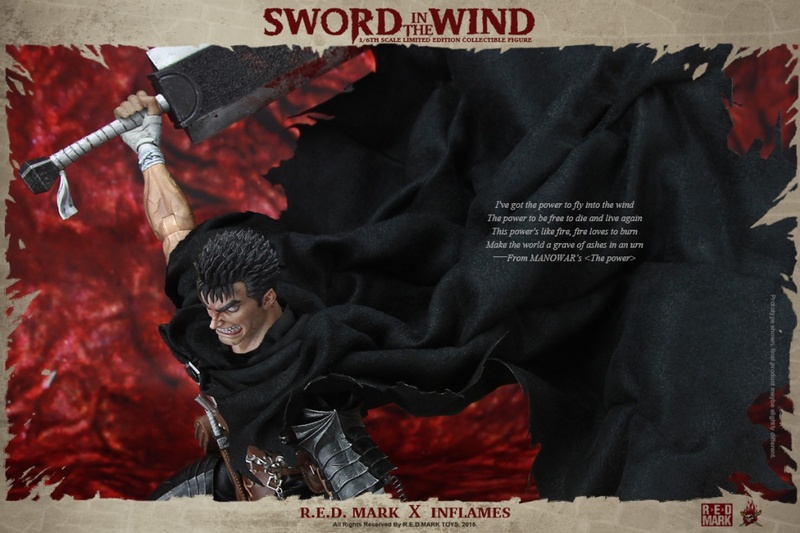 Glad I never got into the AoW statues because of the face sculpts, size (of most of their statues) and prices. 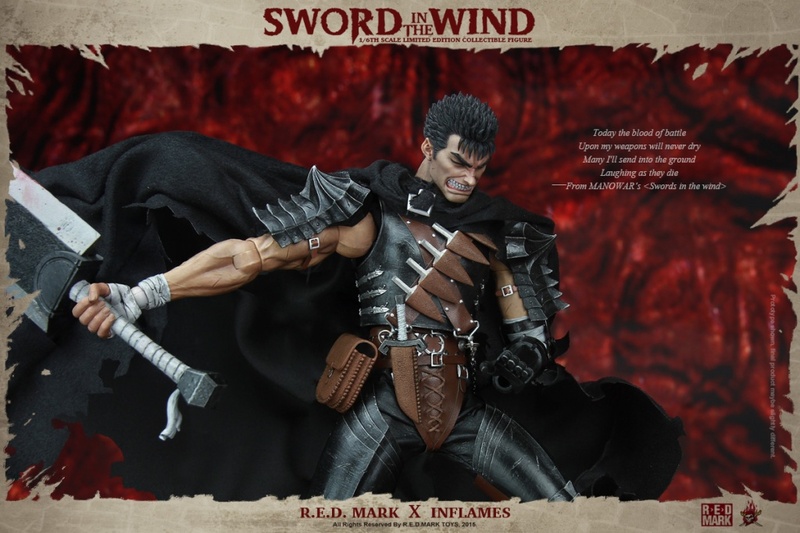 I know this will be pricey too, but way better sculpting, paint, etc. I hope they do release it in the end, and at a fair price. 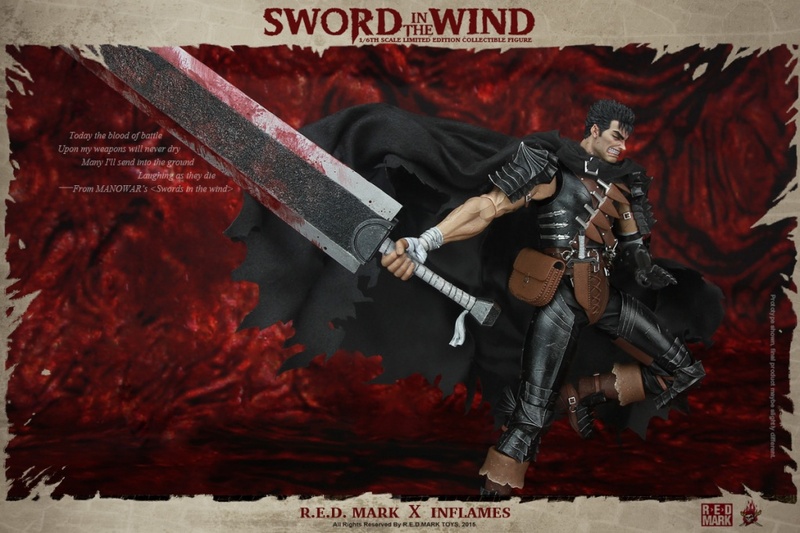 Its not licensed , so I don't think it will be more expensive than Medicom.